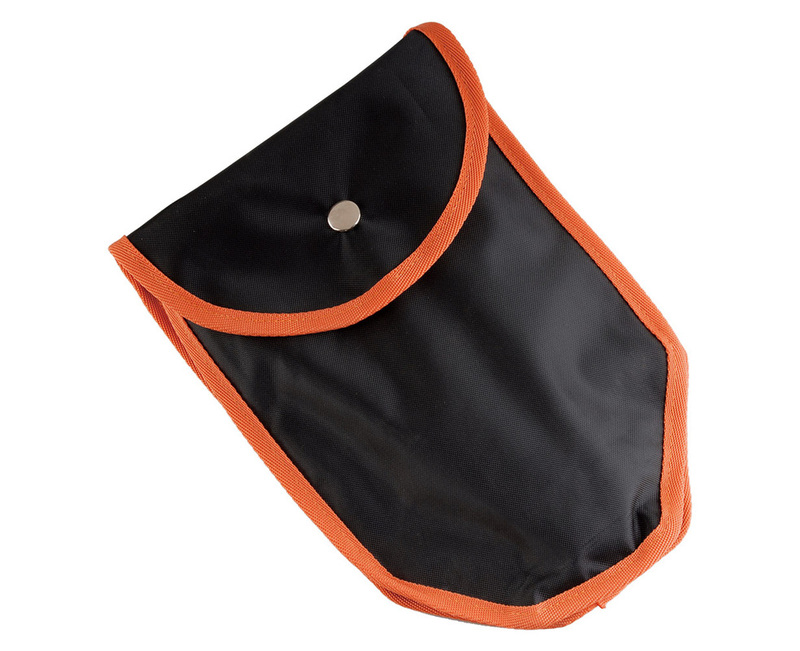 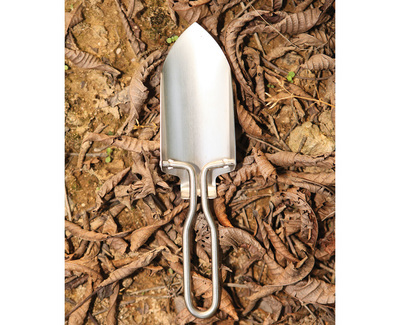 Dig a fire pit, pick out roots and cut small branches to clear your next campsite with a AceCamp Folding Shovel with Pick. 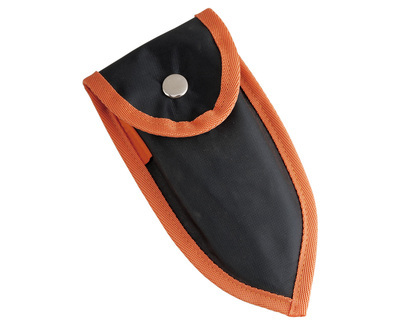 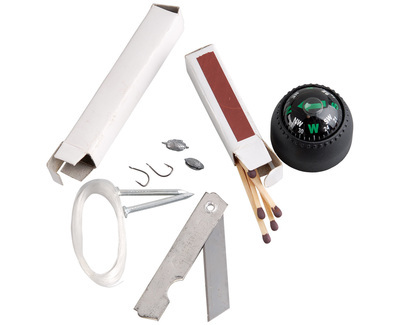 This compact tool is made of durable steel with a serrated edge for sawing. 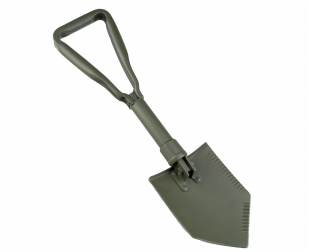 It measures 23.9 in. 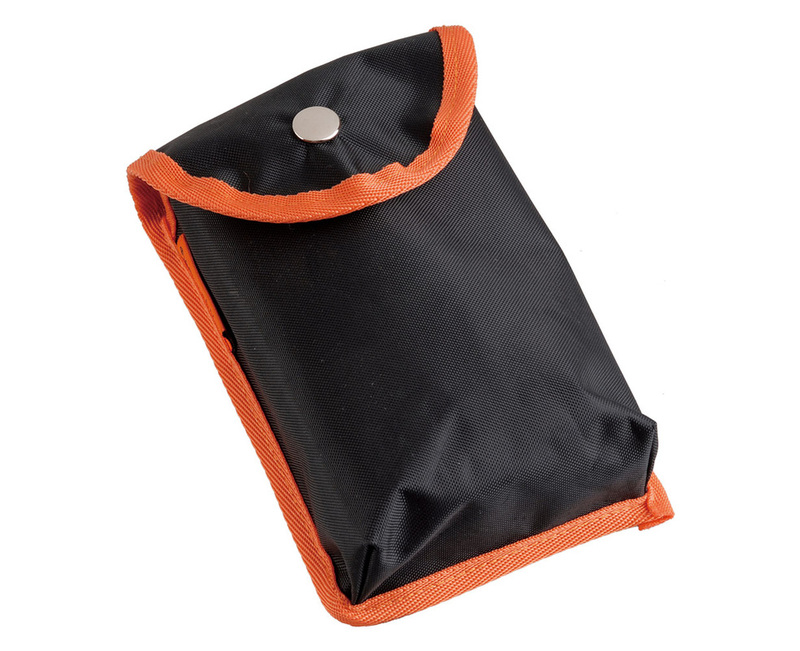 when it’s folded and fits inside its included carrying case. 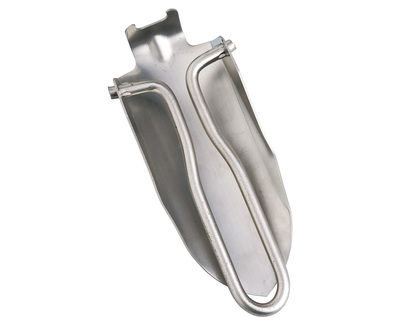 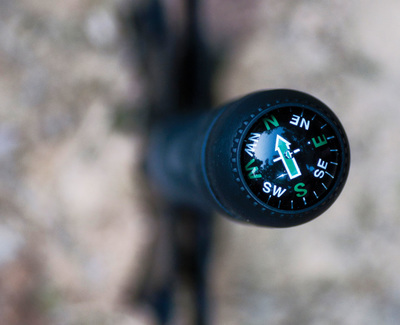 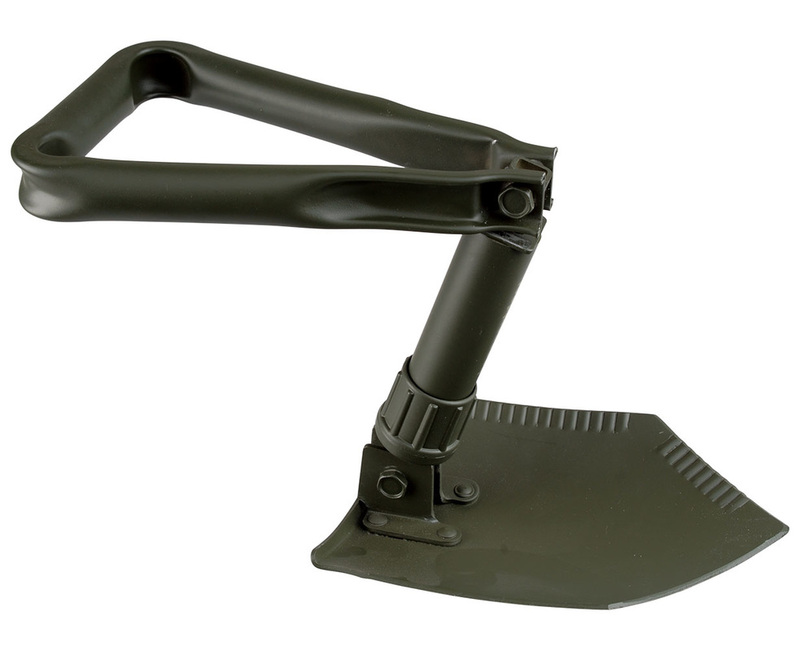 When you’re ready to use it, the shovel folds out to 60 cm. and easily locks into place for safety. 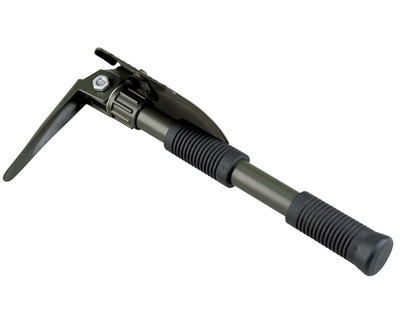 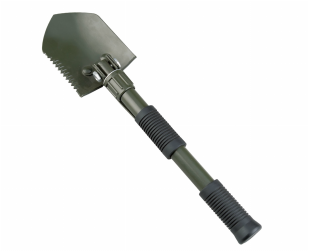 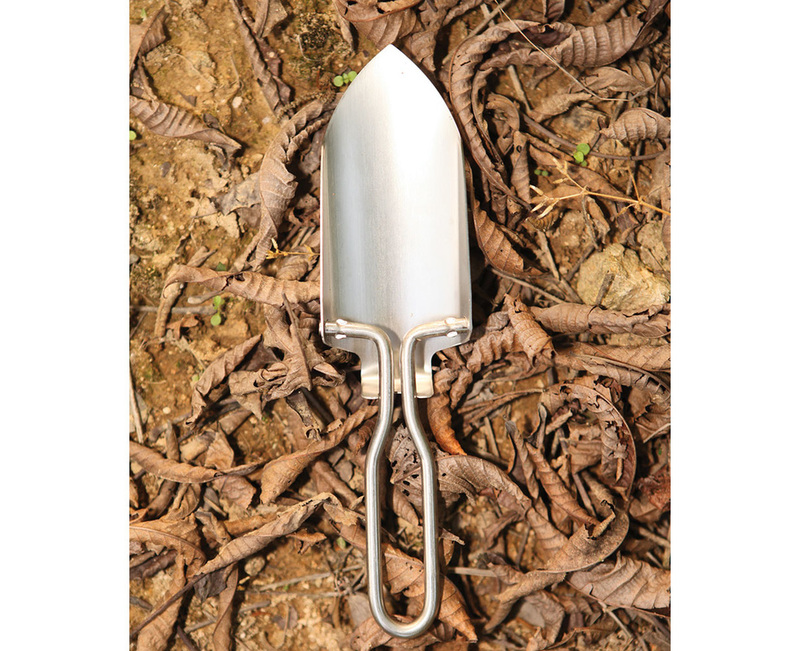 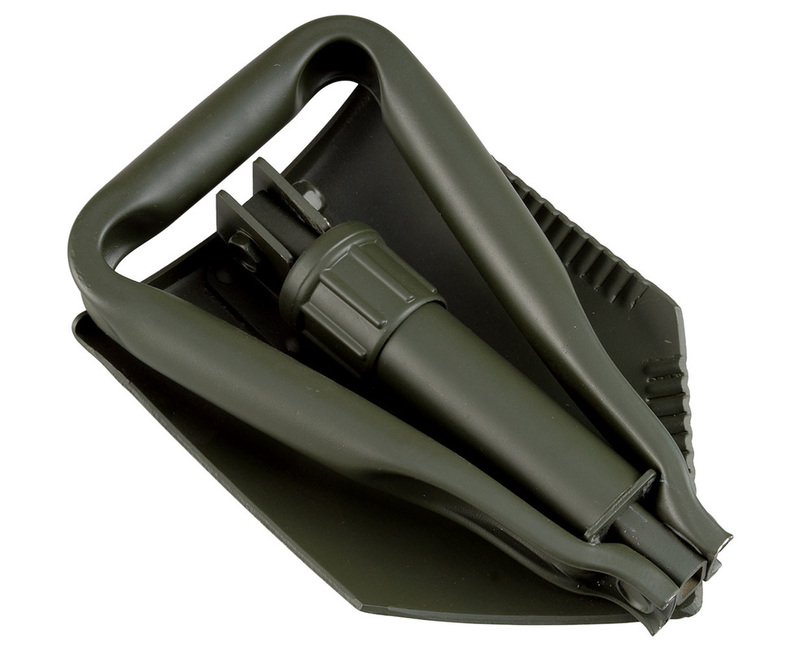 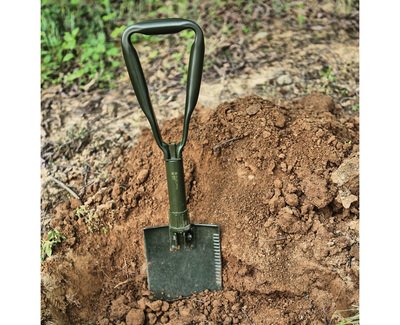 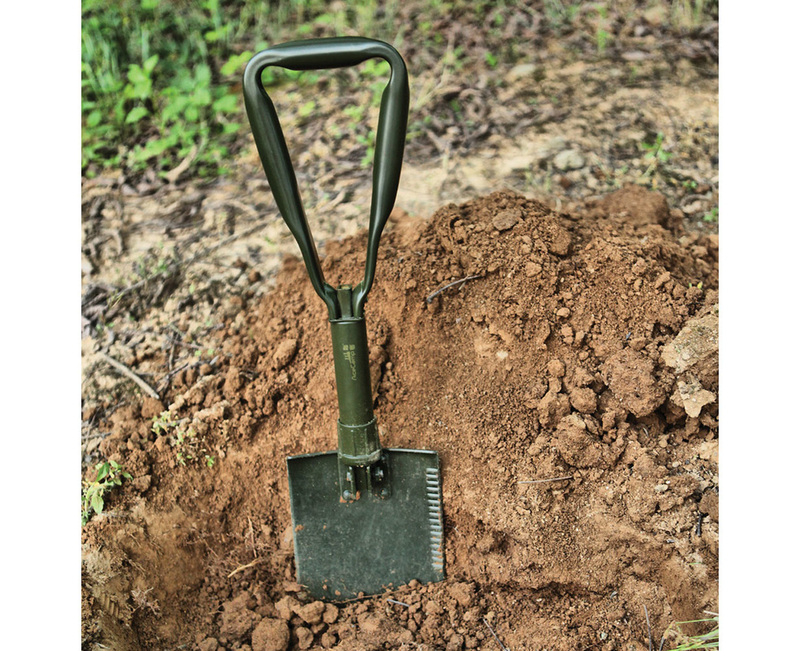 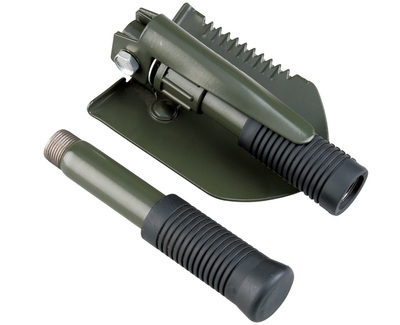 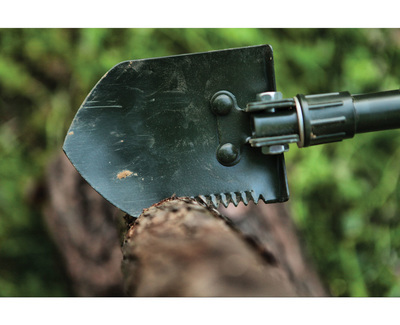 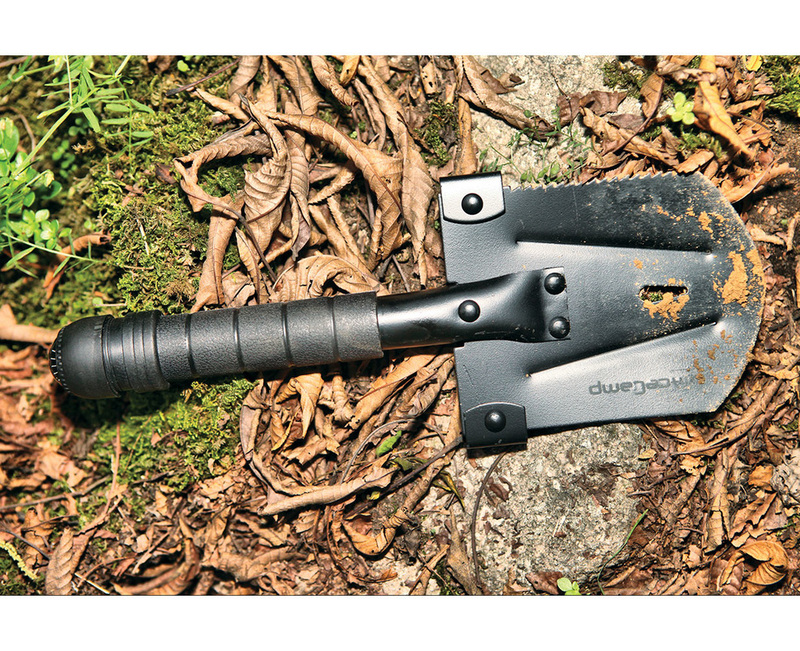 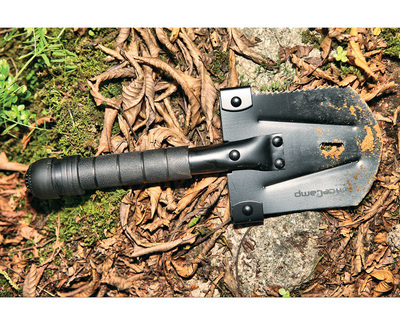 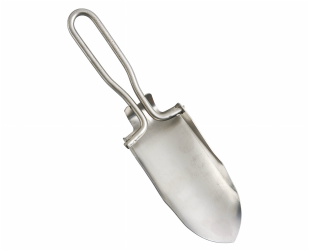 Lightweight all metal military shovel has a folding shovel head and folding handle for compact carry. 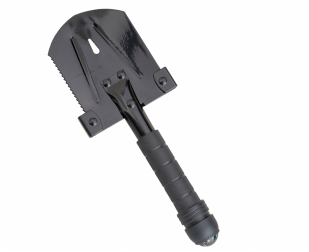 The shovel blade also has serrated teeth on one side so you can use it as an emergency saw. 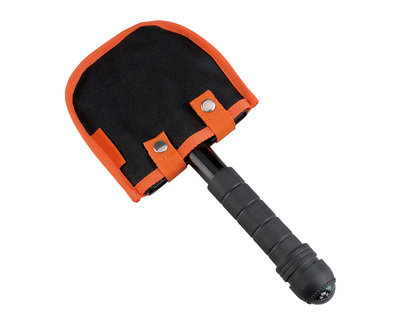 The large handle gives you plenty of grip for those difficult jobs.